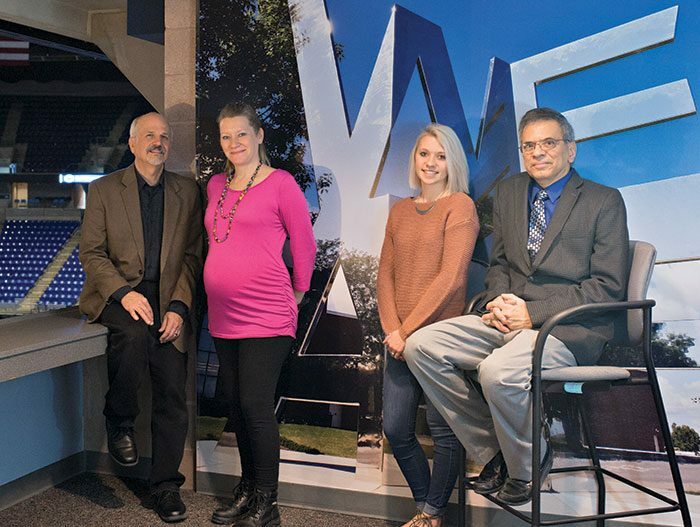 From left: Jim Lukens-Gable, art director; Terra Saxion, prepress operator; Onolee Oberrender, marketing communication; and Director Abbas Badani. In IPG's March cover story on Penn State's Multimedia and Print Center, we detailed how this 55-employee in-plant has added value by automating the fulfillment of new student acceptance packets using its new Neopost DS-200 folder/inserter. Now the in-plant is being honored for this accomplishment by the U.S. Postal Service, which will present the operation with its Mailing Innovation and Digital Award for the Eastern Area during a luncheon on May 24 at the 2017 National Postal Forum in Baltimore. “This award was unexpected, and it’s an honor that all of us in MPC are proud of,” said MPC Director Abbas Badani. Badani persuaded the Office of Admissions that the automated process would save the school money, as well as decrease the cycle time for offers to reach students. This has proven to be the case. “This is a wonderful recognition of the MPC's work and creativity in support of Penn State,” said David Gray, senior VP for Finance and Business/treasurer at Penn State. The postmaster general of the United States and Postal Service leadership will present the award to Badani next week at the National Postal Forum.